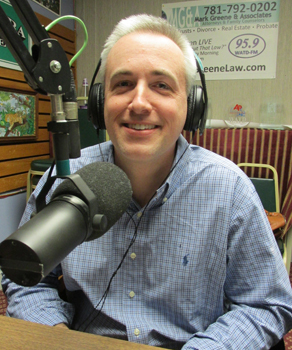 Dan Pallotta, chairman of the Plymouth County Commissioners is a guest on this episode of Monday Night Talk! 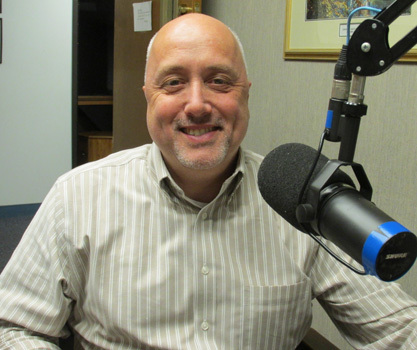 Dan discusses what the commissioners will do moving forward to get a county charter, free up more funding from the state and looks at some of the challenges that lie ahead for the county in 2015. Do you have an topic for a future show or info on an upcoming community event? Email us at mondaynighttalk@gmail.com or "like" and post a comment on our Facebook page: www.facebook.com/mondaynighttalkon959fmwatd. If you're a fan of the show and enjoy our segments, you can either download your favorite segment from this site or subscribe to our podcasts through iTunes today! © Monday Night Talk with Kevin Tocci - 2014. Unauthorized use and/or duplication of this material without express and written permission from the show host and/or owner is strictly prohibited. 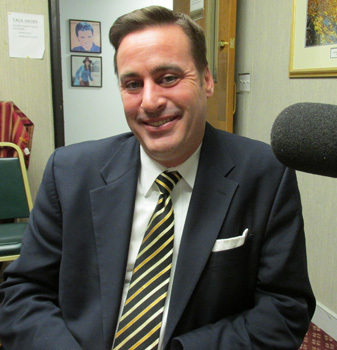 Brockton Mayor Bill Carpenter is guest on this segment of Monday Night Talk! 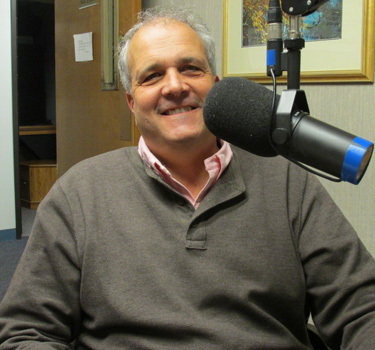 The mayor stops in to discuss a number of ongoing issues in the city, plus gives a year in review look at his first year in office and some of the challenges he faces in 2015. Do you have an topic for a future show or info on an upcoming community event? Email us at mondaynighttalk@gmail.com or "like" and post a comment on our Facebook page: www.facebook.com/mondaynighttalkon959fmwatd. If you're a fan of the show and enjoy our segments, you can either download your favorite segment from this site or subscribe to our podcasts through iTunes today! © Monday Night Talk with Kevin Tocci - 2014. Unauthorized use and/or duplication of this material without express and written permission from the show host and/or owner is strictly prohibited. 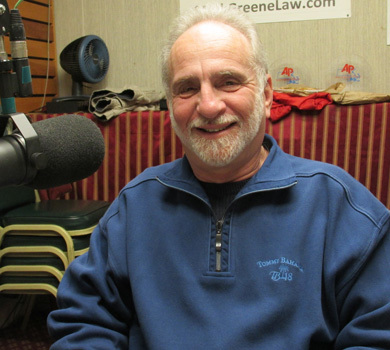 Business owner Rich Rosen is a guest on this episode of Monday Night Talk to share details regarding the town of Whitman holding its second consecutive 1st Night Celebration. On New Year's Eve, the town plans will close the center and provide entertainment like the musical group, Divas with a twist. A replica Toll House cookie will be lowered in the center of town as they count down the last minute before 2015, followed by a pyrotechnics display!!! Do you have an topic for a future show or info on an upcoming community event? Email us at mondaynighttalk@gmail.com or "like" and post a comment on our Facebook page: www.facebook.com/mondaynighttalkon959fmwatd. If you're a fan of the show and enjoy our segments, you can either download your favorite segment from this site or subscribe to our podcasts through iTunes today! 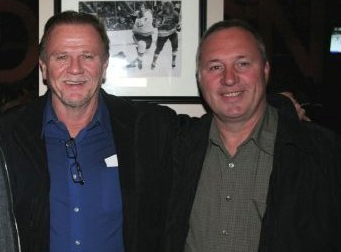 Monday Night Talk host Kevin Tocci talks with Alex Bezanson and former Boston Bruin & Alumni President Rick Middleton about the HUG Foundation and its upcoming fundraiser on Saturday, January 24th at the Rockland Ice Rink at 599 Summer Street in Rockland. Besides Middleton, several former Boston Bruins alumni like Reggie Lemelin, Andy Brickley, Bob Beers and Bruce Shoebottom will play against the Ice Huggers aka the HUG All-Stars. To find out more information about the game or to donate to the HUG Foundation go online to: http://www.hugfoundationma.org. Do you have an topic for a future show or info on an upcoming community event? Email us at mondaynighttalk@gmail.com or "like" and post a comment on our Facebook page: www.facebook.com/mondaynighttalkon959fmwatd. If you're a fan of the show and enjoy our segments, you can either download your favorite segment from this site or subscribe to our podcasts through iTunes today! Michael Jones and James Richard Fees are special guests on this segment of Monday Night Talk! Michael (pictured below), the president and founder of Capital Capitol Group and James, who was a highly decorated U.S. diplomat and general rank intelligence officer (1955-1980) give their insight on US foreign policy and the Obama Administration's recent report on methods of extracting information and torturing prisoners involved in the war on terror. To learn more about the Capital Capitol Group, please visit their website: capitolcapitalgroup.com. Do you have an topic for a future show or info on an upcoming community event? Email us at mondaynighttalk@gmail.com or "like" and post a comment on our Facebook page: www.facebook.com/mondaynighttalkon959fmwatd. If you're a fan of the show and enjoy our segments, you can either download your favorite segment from this site or subscribe to our podcasts through iTunes today! 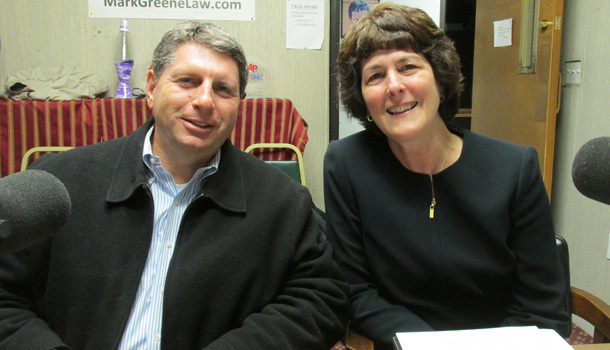 Brockton School Superintendent Kathleen Smith and School Committee Vice Chairman Tom Minichiello are guest on this segment of Monday Night Talk! Tom and Kathleen stop by to discuss the proposed charter school looking to open a facility in Brockton and some of the issues surrounding the placement of such a school in the city. They also share details behind the waiver that was approved by the state and where things currently stand in the whole process. Do you have an topic for a future show or info on an upcoming community event? Email us at mondaynighttalk@gmail.com or "like" and post a comment on our Facebook page: www.facebook.com/mondaynighttalkon959fmwatd. If you're a fan of the show and enjoy our segments, you can either download your favorite segment from this site or subscribe to our podcasts through iTunes today! State Representative Josh Cutler is a guest on this portion of Monday Night Talk! Rep Cutler stops by to talk about the return of weekend service for the MBTA commuter rail trains and what he will look to tackle during his second term in office. Do you have an topic for a future show or info on an upcoming community event? Email us at mondaynighttalk@gmail.com or "like" and post a comment on our Facebook page: www.facebook.com/mondaynighttalkon959fmwatd. If you're a fan of the show and enjoy our segments, you can either download your favorite segment from this site or subscribe to our podcasts through iTunes today! 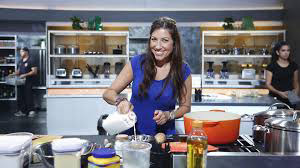 Jennifer Royle, a contestant from Season 3 of ABC's The Taste is a guest on this episode of Monday Night Talk! Jen is an Emmy Award winning sports reporter who has covered various sports teams, hosted or co-hosted radio shows on both of Boston’s sports talk radio stations and is the author of her own cookbook and is currently contestant on the 3rd season of ABC’s culinary competition show called The Taste, which can be seen on ABC TV every Thursday night starting at 8pm EST. Jen shares details about her involvement with the televised cooking competition and what has transpired in the first couple of episodes that recently aired. She also talks about her new cookbook, Dare To Taste (daretotaste.com/). To learn more about Jennifer and her career, visit her website: http://www.jenniferroyle.com/. Email us at mondaynighttalk@gmail.com or "like" and post a comment on our Facebook page: www.facebook.com/mondaynighttalkon959fmwatd. If you're a fan of the show and enjoy our segments, you can either download your favorite segment from this site or subscribe to our podcasts through iTunes today! 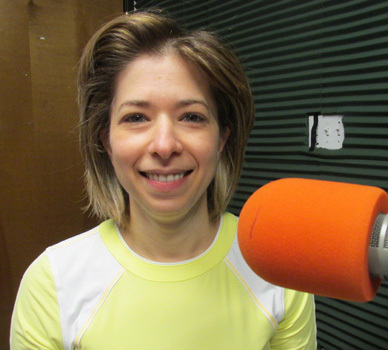 Weigh loss specialist Dr Deborah Abeles is a guest on this episode of Monday Night Talk! Dr. Deb Abeles, who is the head of Signature Healthcare's Weight & Wellness Center, talks about the program she created to help individuals find ways to lose excess weight. During the segment, she provides details on surgeries used to reduce weight, who qualifies, the types of procedures, outcomes and other methods used to shed pounds. For more information about the Weight & Wellness Center, please visit Signature Healthcare's website: http://www.signature-healthcare.org/Services/MedicalWeightLoss.aspx. Email us at mondaynighttalk@gmail.com or "like" and post a comment on our Facebook page: www.facebook.com/mondaynighttalkon959fmwatd. If you're a fan of the show and enjoy our segments, you can either download your favorite segment from this site or subscribe to our podcasts through iTunes today! 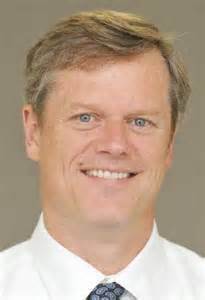 Massachusetts Governor-elect Charlie Baker is a guest on this edition of Monday Night Talk! The Governor-elect talks with Kevin Tocci and Joe Rossi about his victory on November 4th, the transition into office, who has been picked for his cabinet, some of the problems he will have to deal with once he takes office, putting together his first budget and what he'll look to accomplish in his first 100 days. Do you have an topic for a future show or info on an upcoming community event? Email us at mondaynighttalk@gmail.com or "like" and post a comment on our Facebook page: www.facebook.com/mondaynighttalkon959fmwatd. If you're a fan of the show and enjoy our segments, you can either download your favorite segment from this site or subscribe to our podcasts through iTunes today!